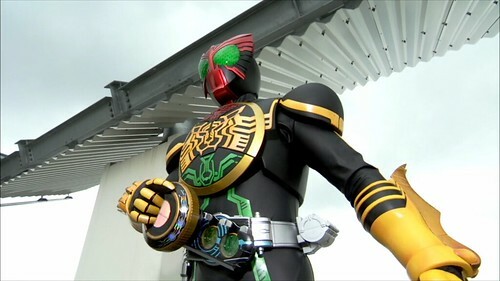 Ankh explains the Greed and the purpose of the Medals to Eiji, even as Eiji desires to merely use his new power to fight for good instead of for Ankh’s selfish needs. A mysterious arm reawakens the Greed from their slumber and decides to use Hino Eiji, a cheerful wanderer, as his means of getting back what he desires. Now that we’ve finished the last of the W episodes, it’s time to talk about what is next. Obviously, W isn’t quite complete, so there are still three more movies immediately considered to be part of W’s run. 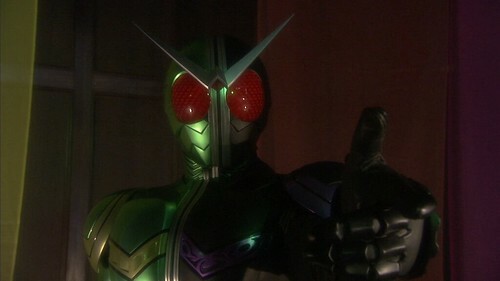 Those are, in rough timeline order, Kamen Rider x Kamen Rider OOO & W feat. 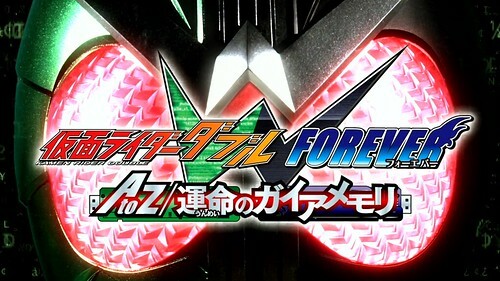 Skull: Movie War Core, Kamen Rider W Returns: Accel, and Kamen Rider W Returns: Eternal. As far as I can recall, and I’ll have to double check this, W Returns: Eternal doesn’t directly tie into the other two in any way, meaning we can release that whenever, so that will probably be the next W release we do unless I’m wrong on the timeline. 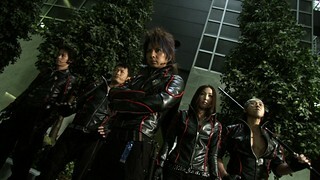 However, W Returns: Accel follows up from the events of Movie War Core, so before we release Accel, we’ll want to release Movie War Core. 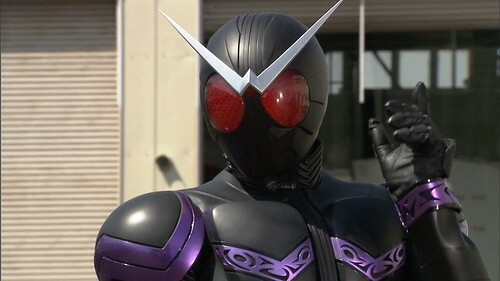 Unlike Movie War 2010, where we released it despite not having released anything related to Decade, which partly had to do with there not being BD sources for Decade, we have BDs for Kamen Rider OOO. 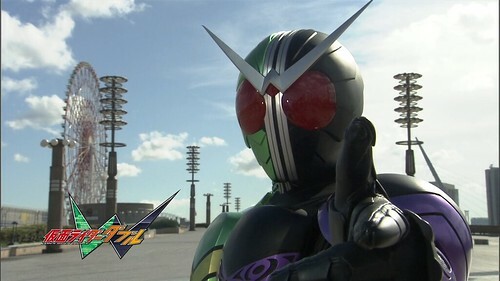 So, it’s time to officially announce (and it was hinted at a bit by the 2nd picture in the W Episode 47 post) that we will be continuing forward with our Kamen Rider Blu-ray encodes with OOO! As you can probably guess, we’ll be using the Over-Time subs for OOO, and you can expect those releases to be similar to how we’ve handled W, with two episodes at a time, covering each two-part arc. Now, I know some people have asked me on IRC about a batch release for W. We will be compiling the whole thing into a batch soon. While there are a few tweaks that I thought about making that I had missed in my check of later episodes (such as early episodes using the spelling “Nazca” rather than the correct one “Nasca”), I don’t think anything is serious enough to warrant v2s. In the future, if and when Over-Time revisits the W translations, we’ll swap the subs out then. We’ll probably batch the movies together as a separate batch once all of them are done as well. We also have a few more things planned to be released soon, but for now, we’ll leave it with the OOO announcement, so be sure to look for that coming very soon! I want to end with a quick note thanking everyone who has supported us with these releases. I’m very much aware that our anime releases are very contentious due to my choices in filtering, so I’m grateful that people have given these releases a chance and hopefully come away satisfied. I’d also like to thank all of the crew at Over-Time (and of course, any former staff that were involved during the W-Time days) for their work on W in the first place, which enabled us to even have subs to put on these. Last, I’d like to thank the various uploaders that generously provided the BD sources, which made the whole thing possible in the first place. 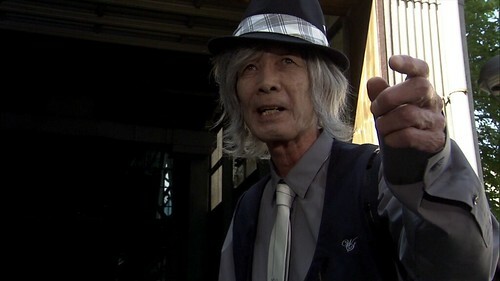 One year after Philip’s departure, Shotaro continues onward alone, but a case involving saving a boy’s sister from Dopant bullies brings forth a change for the better. 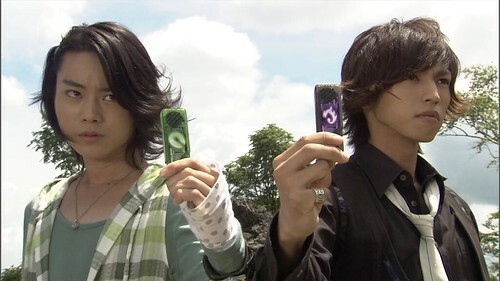 Shotaro and Philip must endure the ultimate hardships to stop Kazu from completing his own Gaia Impact in order to complete what could be their final case together. 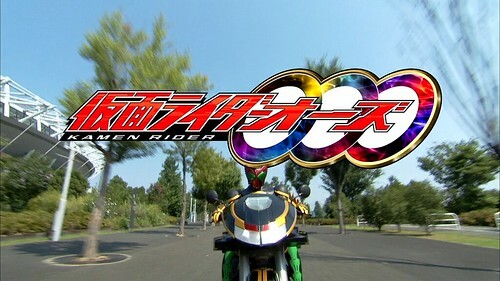 Philip chooses to ask Shotaro to help him find Wakana, so he could see her one last time, as she is being held by Kazu for Foundation X’s own plans. 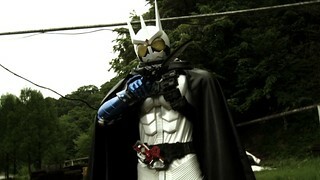 With Shotaro gripped by fear and Terui injured, Philip is at the mercy of his father Ryuube, who prepares to use his son and Wakana to bring about Gaia Impact. 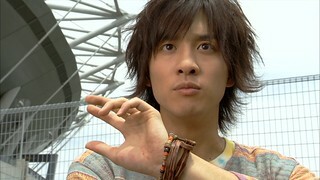 A request from a worker at the Fuuto museum forces Shotaro to find an artifact required by Ryuube for his final master plan. A couple of quick notes on this release: I’ve switched the name from “The Gaia Memories of Destiny” to “The Gaia Memories of Fate”. I’ve always preferred “Fate” over “Destiny” in the title. The subs are otherwise unaltered from the W-Time subs other than usual formatting or spelling fixes. 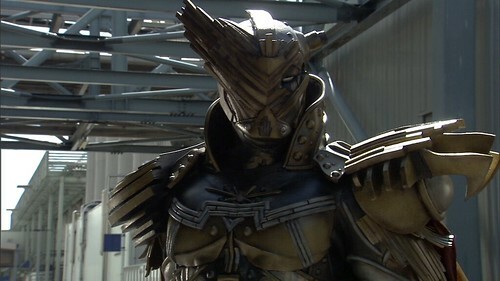 I’ve also imported a couple of subs from the Director’s Cut version, mostly for Gaia Memory sounds later in the movie. Also, this is the theatrical cut of the movie, I’ll be doing another hybrid encode like I did for Movie War 2010 later on for the Director’s Cut. Lastly, I created a set of chapters for this based off the chapter timing on the BD. I have no idea what the chapter names were on the BD, so I came up with them myself. I take full responsibility if they are completely stupid. All donations go towards site/seedbox hosting fees and new BD purchases. The Cross-Z V-Cinema has shipped! Hopefully should have it early next week. 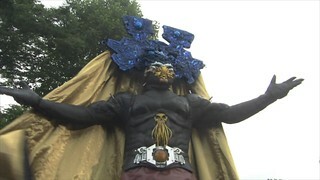 I love everything about the Kamen Rider Brain trailer. Especially the suit. Oh that suit.